Letter to High Commissioner Of Canada : Call for Transparency, Accountability & Action Following Reports On Netsweeper’s Presence in Pakistan. Subject: Letter to His Excellency Mr Greg Giokas, High Commissioner Of Canada : Call for Transparency, Accountability & Action Following Reports On Netsweeper’s Presence in Pakistan. We write , as a civil society organization committed to open access and freedom of expression, to raise the issue of Netsweeper, a Canadian company that sells technology for content filtration on the internet, whose equipment has reportedly been deployed on Pakistan Telecommunications Company Limited (PTCL)’s network. A recent research report authored by Citizen Lab, an interdisciplinary laboratory based at the Munk School of Global Affairs at the University of Toronto, revealed details on ways in which Netsweeper is being used to censor content on the Internet. Canada is a country that takes great pride in its first amendment “Freedom of speech is the concept of the inherent human right to voice one’s opinion publicly without fear of censorship or punishment”. Section 2(b) of the Canadian Constitution lists freedom of thought, belief, opinion and expression, including freedom of the press and other media of communication. In fact Canadian laws and protection for freedom of speech and expression are declared more free and independent than those of the United States of America. In the 2012 report published by Reporters Without Borders, Canada ranked 10th on the list, while its only neighbor, the United States, ranked 47. We are writing to urge you to fulfill your commitments, to stand by the Canadian Constitution and the Canada’s Global Commitment to Internet freedom. We request the Canadian Government to assist us in seeking answers from Netsweeper, that has sold technology to Pakistan with full awareness that it would be abused. We state this because in February 2012 we reached out to Netsweeper, amongst other western companies selling surveillance and filtering equipment, through our partners Business Human Rights Resource Centre, seeking their commitment to not sell the technology to Pakistan in light of our shameful history of crackdown and censorship. Netsweeper was one of the three companies that did not respond to our request, the only other two companies were Huawei and ZTE, both of whom later released standard statements distancing themselves from the matter. We have attached a list of resources along with the letter to assist you in understanding the history of Internet censorship in Pakistan. Netsweeper’s apparent decision to allegedly sell filtering technology to Pakistan, despite civil society advocacy groups informing them that the technology will have terrible repercussions for the country, reflects a disregard for civil liberties and fundamental human rights. This is in violation of the United Nation’s Guiding Principles on Business and Human Rights and ignorance of “Know Your Customer” Standards for Sales of Surveillance Equipment. We trust that the Government of Canada will assist us in seeking answers from Netsweeper and holding them accountable for allegedly violating for United Nation’s Guiding Principles on Business and Human Rights. The information will help us seek answers and accountability from Pakistan Telecommunications Company Limited and the Government of Pakistan. 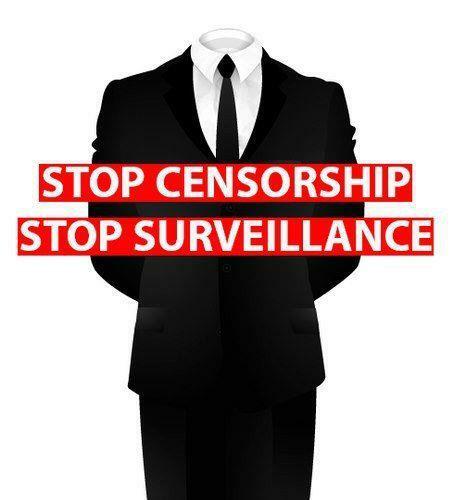 We hope the Canadian Government and western governments around the world follow their commitment to free speech and freedom of expression and take action against western companies that sell surveillance and filtering equipment to repressive governments. 2 Responses to "Letter to High Commissioner Of Canada : Call for Transparency, Accountability & Action Following Reports On Netsweeper’s Presence in Pakistan."